AllStrong custom Chinese B.B.Q. ovens are designed to meet Chef's sophisticated preparations in today's unique oriental style of cooking. 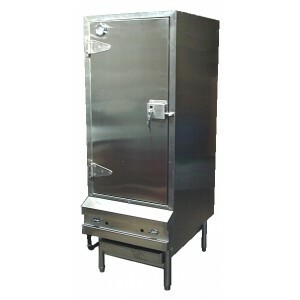 Built specifically for meat products, this equipment is exceptional and indispensable for consistently cooked quality. Constructed of heavy-duty steel frame, this unit has a fully insulated wall and door. Exterior is finished in stainless steel front, sides and top. Interior is finished in heavy-gauge heat-resistant steel. Custom- reinforced stainless steel door, hinges and adjustable legs. Full size galvanized drip pan under each burner for grease and debris collection. Burners control features are manually controlled by single gas valve with standard pilot system or thermostatically controlled multiple burners with standard safety pilot system as an option. · Exterior-stainless steel front, sides and top. · Adjustable stainless steel legs. · Six stainless steel skewers. · Full size galvanized Grease drip pan. · Two stainless reinforced steel hinges and handle. 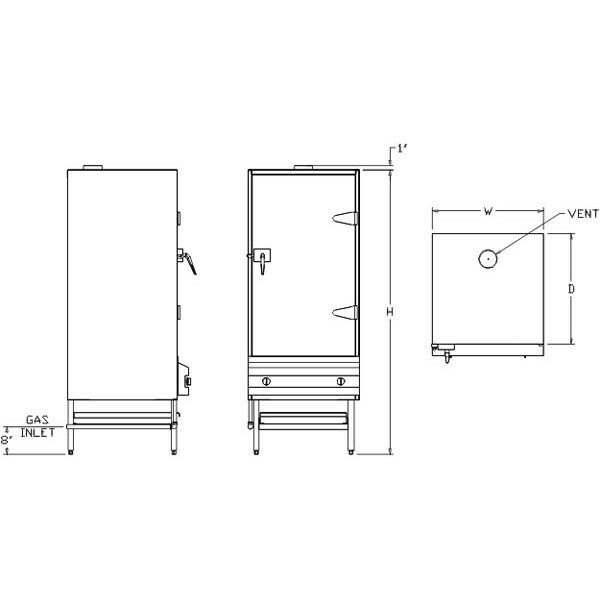 · Double wall insulated construction body and door. · Removable burners steel cover.